Right-click on the grid and select New from the menu. 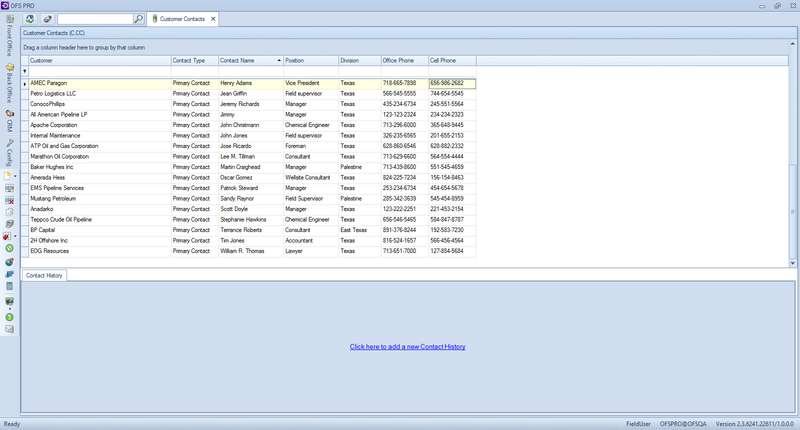 Enter the Contact Name and select a Contact Type. 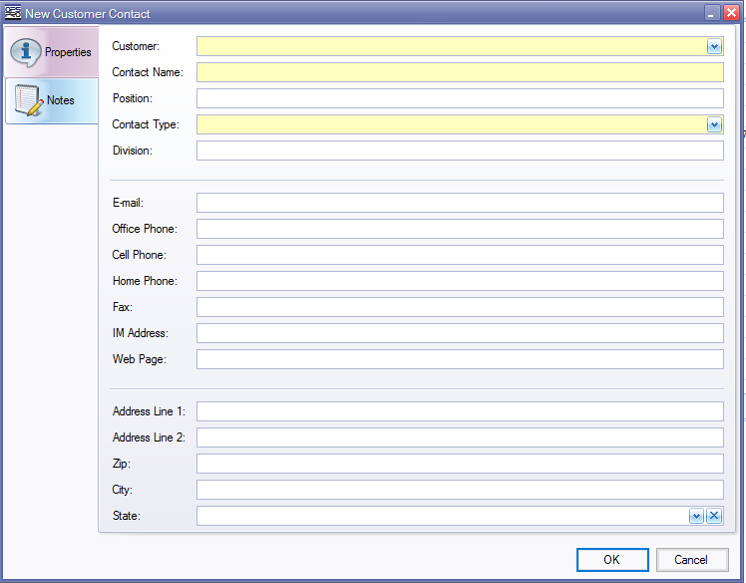 Fill out any other optional information, such as phone numbers, e-mails and the contact’s address. Click the OK button to close the window and save the new contact.